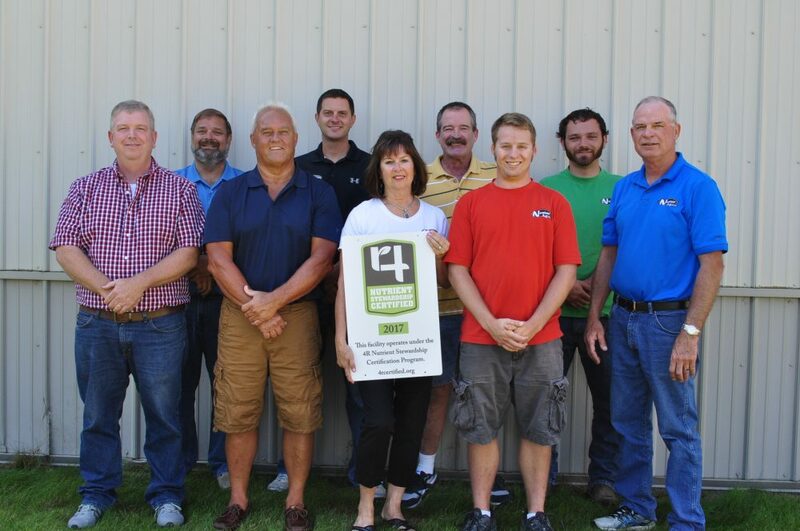 Continuing its commitment to improving water quality in the Western Lake Erie Basin, Nester Ag, LLC in Bryan, Ohio has achieved certified status for year two through the 4R Nutrient Stewardship Certification Program. With the program in its fourth year, Nester Ag joins a long list of retailers to achieve year two certification. Nester Ag was started in 1993, and provides precision nutrient management consulting to farmers in Ohio, Indiana, and Michigan. With nine employees, Nester Ag works to make the farmer more profitable through great nutrient efficiency and recoverability, striving for the nutrients that are applied to get to the crop. “Nester Ag has proven that nutrient stewardship using the 4R principles is a top priority in everyday operations,” said Carrie Vollmer-Sanders, Nutrient Stewardship Council chairwoman. “The certification program is an ongoing effort for participants and we are proud of Nester Ag’s continued commitment,” said Chris Henney, president and CEO of the Ohio AgriBusiness Association. Approximately 2.7 million acres and more than 5,900 grower customers are serviced by the 39 facilities in Ohio that have earned 4R Nutrient Stewardship Certification, with approximately 70 percent of those acres located in the Western Lake Erie Basin.